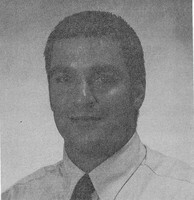 A graduate member of the Tomahawk High School Class of 1995, earning thirteen varsity letters (three in football, four in basketball, two in track, and four in baseball). Tim was an All Conference selection two times in football, three in basketball, one in track, and two in baseball. In addition to thirteen varsity letters and eight All Conference selections he was voted Lumberjack Conference Offensive Player of the Year and Lumberjack Conference Player of the Year his senior year in football, lead the Lumberjack Conference in scoring his senior year of basketball, and was voted Utility Player of the Year in baseball his senior year. Tim received five MVP awards over his high school career in three different sports and also was selected as team captain in football, basketball and baseball. Additional major high school awards included the Jim Taylor Scholar-Athlete Award as a sophomore and the Gary Kuntz Outstanding Male Athlete Award Winner his senior year. Tim complemented his high school athletic career by being a four year honor student. After high school, Tim played one season of basketball at Division Three Lake Forest College in Illinois, before a knee injury ended his career. He completed his college degree at North Central Technical College in Wausau and returned to coach in Tomahawk. Presently he has served as junior varsity girls softball coach, freshman girls basketball coach, volunteer varsity football coach, past president of the Hatchet Basketball Backers Club, and is in his second season as head girls basketball coach.